FACE Foundation | Paws & Pints on KUSI News! 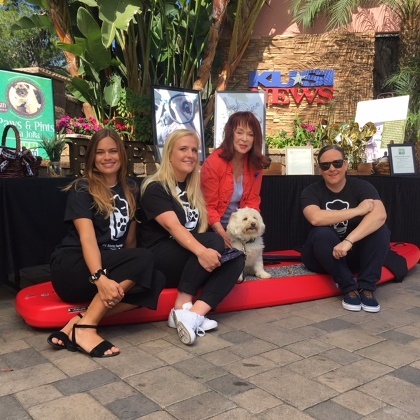 FACE had the chance to join La Jolla Vet Hospital and Rancho Coastal Humane Society on the set of KUSI News with Pet Patrol reporter Sandie Lampe to promote the 5th Annual Paws & Pints event! FACE is absolutely thrilled to be a beneficiary of this event, which drew over 600 attendees last year, and so thankful to have supporters like La Jolla Vet who make the mission possible. Click here to watch the segment!